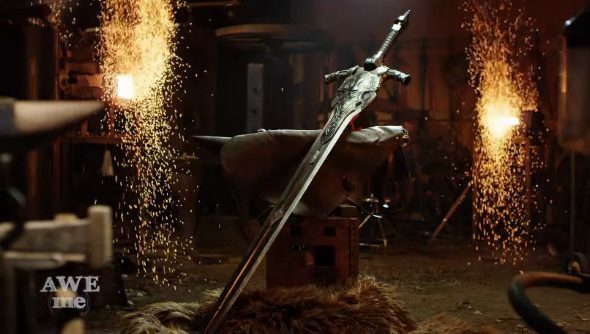 As if Dark Souls III wasn’t hard enough, there’s now a risk of your account being banned from the servers if you pick up a hacked weapon, or get hit by one. Looking for big worlds with plenty of weapons and stats to farm of your own? Here are the best RPGs on PC. Publishers Bandai Namco are warning players to keep a back-up of their save file in case of an increasingly common “Invalid Game Data” warning. The cause: hackers are finding novel ways to ruin other players’ games by either altering a weapon’s data values to imbue the host’s character with extra souls when hit, or dropping a hacked weapon for them to pick up. In a statement about how to deal with the Invalid Data warning, Bandai Namco warned against “taking candy from strangers” and that the only surefire way to keep your game safe is to create a copy of your save file. Dark Souls III’s servers display an Invalid Data message when detecting these alterations and flagging an account for “further investigation”. After investigation, an account violating the End User License Agreement (EULA) can be penalised by restricting online interactions or disabling multiplayer altogether. If hit by a weapon with the “+Souls” augment, we advise you try to die in the most dignified way possible rather than risking levelling up with a contaminated supply of souls. It’s a bit of a pain to have to create a save back-up every time you want to play, but the alternative advice is to play offline at this time, until more rigorous anti-cheat is implemented.